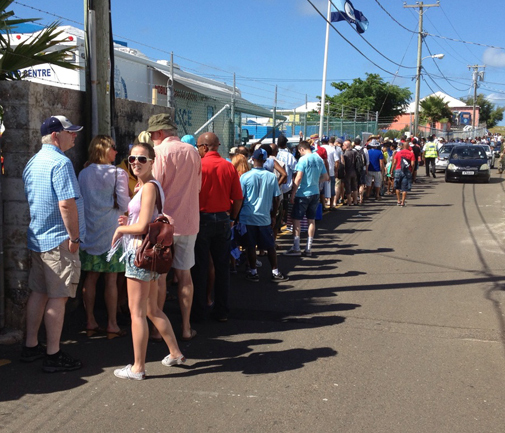 There was a long and very slow line to get into the game at Wellington Oval on the first day of Cup Match 2013. People were becoming antsy in the heat, with many saying they have never seen such long queues to get in before. Comments from the front of the line suggest that the security is tight, but the staff are too few.